Milan, Working weekday, 8 AM. In the lower map: the highlighted area shows the size (and shape) of the city, based on the number of people who can reach the city centre by car within 45 minutes. In the upper map, the highlighted area shows the size (and form) of the city based on the number of people who can get to the central districts at the same time of day, by public transport. Different times of day, different modes of transport: different city shapes. The “Changeable City Shapes” is a research on cities conducted by Prof. Fabio Casiroli, the founder of Systematica, passed away in 2015. The research is aimed to explore the different shapes that cities take at different times of the day, influenced by the available modes of transportation and areas reached within a given period of time by private and public transport modes, distinctly. For this reason, Casiroli firmly believed that city shape is not a static element and is continuously subjected to an expansion and shrinking process. Therefore, abstract city shapes, construed as the area covered within any given period by any given transit mode, are influenced by travel times and purposes, as traveling at different times of the day, in different cities with different transit modes result into different city shapes, varying significantly from one city to another. Passengers in the underground, Milan. 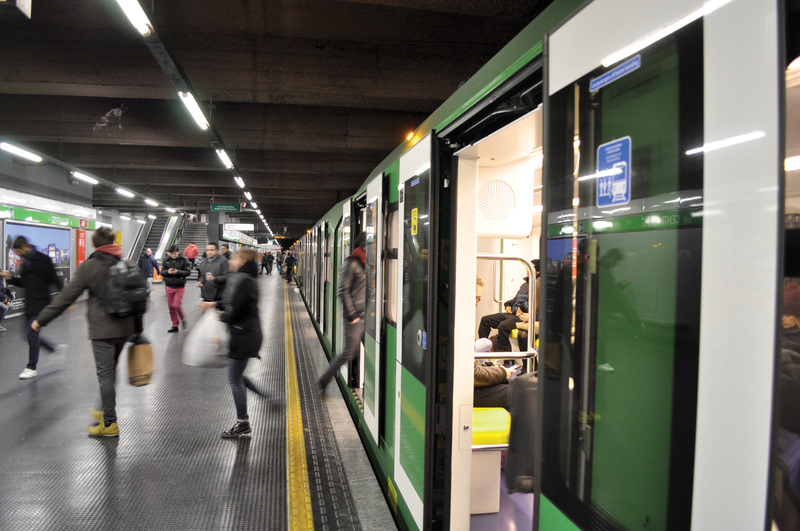 In 2015, 113.6 million passengers travelled by underground in Milan; the number of passengers is constantly growing. Lessons learnt and conclusions made from Casiroli’s research on the relation between time and city form are numerous and are often rooted into the historical evolution of cities and the degree to which planners and decision makers in different contexts and eras had believed and invested in public and private transit infrastructure in cities, reflecting a long-rooted mobility culture that had characterised and distinguished many cities: northern American, European, far eastern cities and many others. This is shown and proven in the cited research as cities with a long history in investing into Public Transportation such as Tokyo, London and others show totally different forms compared to cities such as Los Angeles and other car dependent cities. 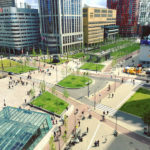 Changing forms and their vulnerability are also a result of urban growth patterns, congestion levels and services availability within the same city. This research, among others, shed light on the importance of ensuring coordination between public and private transport and the significant results that could emerge from their unison.